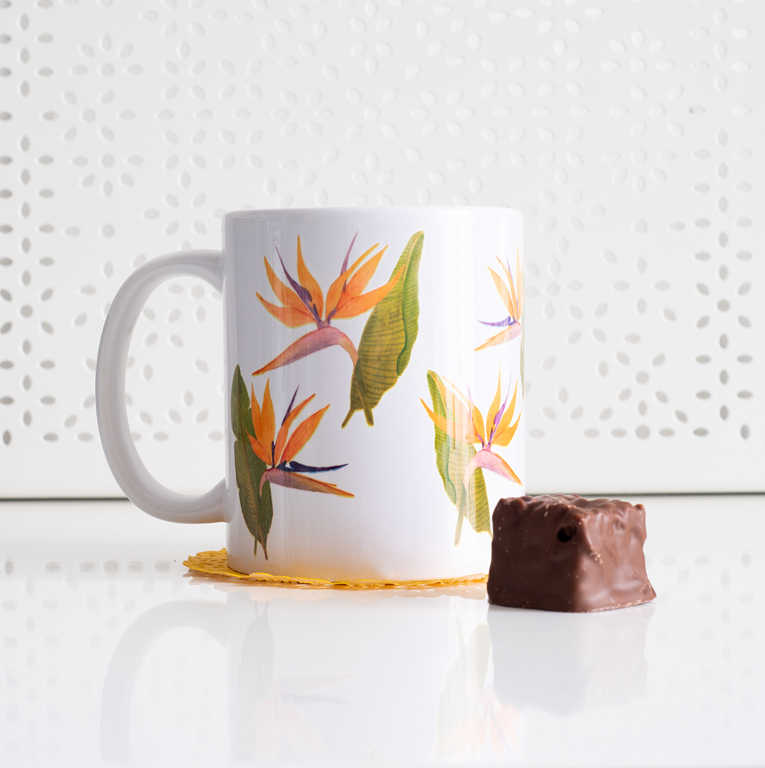 This Birds of Paradise is featuring one of the spring 2019 designs. With its vibrant colours and unique design, it is truly state of the art. Each Birds of Paradise element has been hand drawn and coloured with watercolours before being scanned and transferred onto the mug. The Birds of Paradise design is also available in other items, so please check the storefront to view them all.